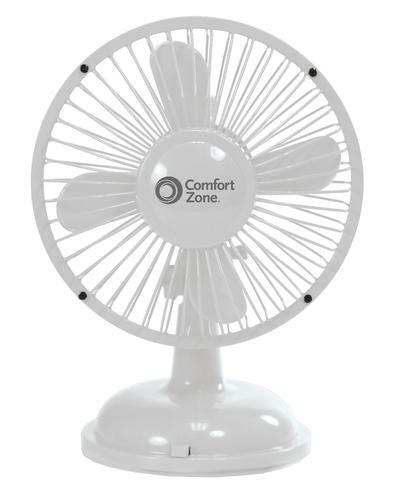 Enjoy comfort and cool breezes with this convenient fan. 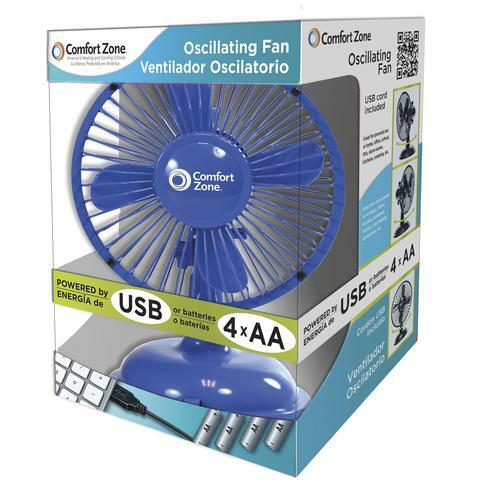 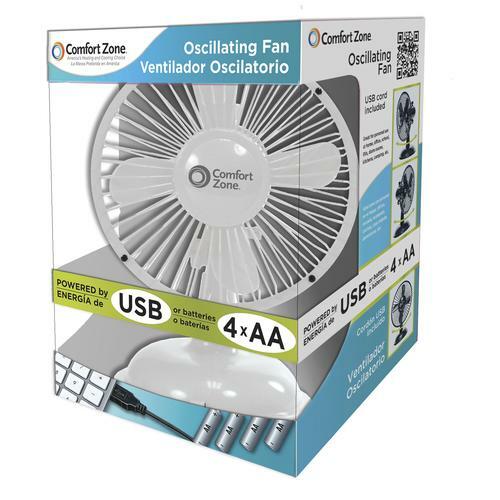 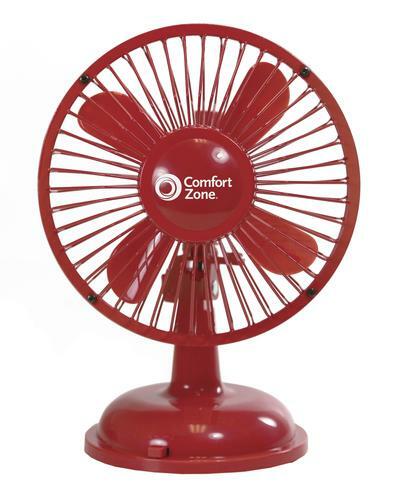 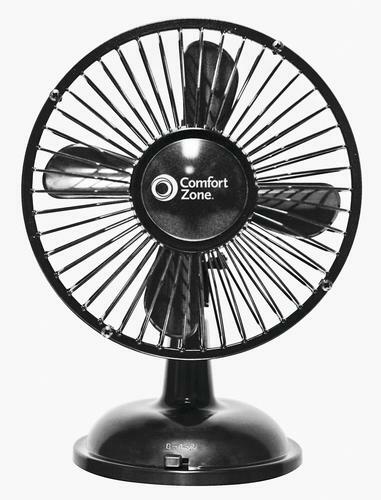 The Comfort Zone 5" USB fan has a dual power operation with both USB or battery capabilities. 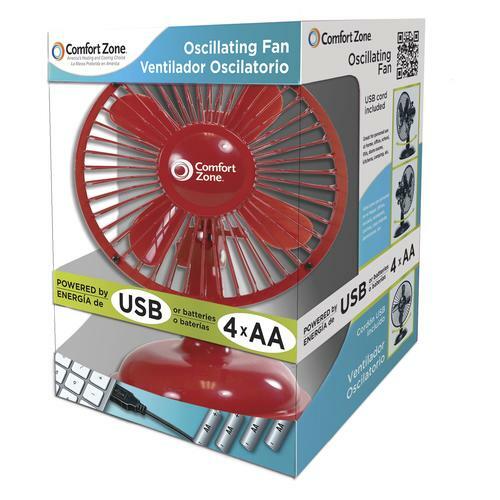 It is a great option for personal desktop use, with or without a computer!